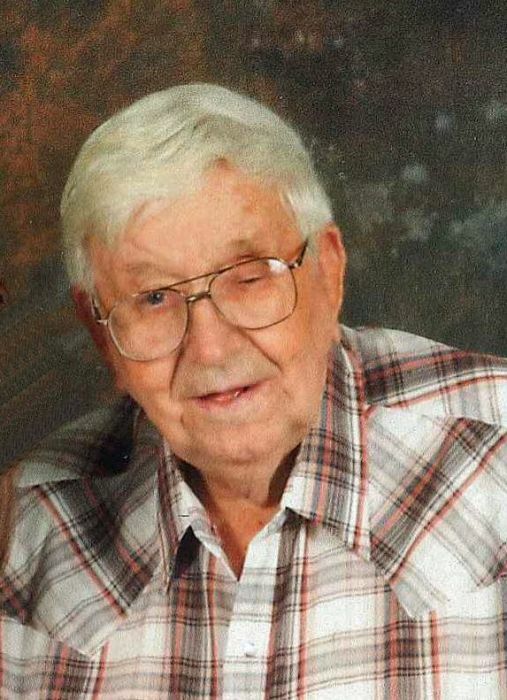 Funeral services for Melvin “Mel” Keierleber, 95, of Wills Point, are scheduled for 1:00 PM, Monday, December 3, 2018, at Hiett’s LyBrand Funeral Home in Wills Point. Burial will follow at Locust Grove Cemetery. Visitation will be held one hour prior to service time. Melvin Keierleber was born November 5, 1923, in Winner, South Dakota, to parents, Christopher Frederick Keierleber and Magdalena Becker Keierleber. He was raised in Winner, S. Dakota where he graduated high school. After high school, he worked for Lockheed Martin Corp. making B-26 Marauders and B-17 Flying Fortress aircrafts. Mel served his country in the United States Navy from 1943 to1945, while being stationed on Ford Island in Hawaii at Pearl Harbor. Mel met June Ward in La Grainge, IL and they married on June 30, 1946, in Danville, Iowa. They then moved to Dallas, TX in 1957 and Mel attended the Seminary from 1957 to 1962. Mel enjoyed teaching Sunday school and pastored in different churches including one in East Dallas. He was owner and operator of Mel’s Electric Co. from 1968 to 2000 until he retired. Mel and June moved to the Wills Point community in 1980 to make their home. He was of the Baptist faith and was a member of the Grace Fellowship Bible Baptist Church. He is preceded in death by his wife, June Keierleber; parents, Christopher and Magadlena Keierleber; three brothers and two sisters. Mel is survived by his sons, Melvin Keierleber II and wife, Sharon of Dallas, TX, John Mark Keierleber and wife, Mary Ann of Parker, SD, Stephen Paul Keierleber and wife, Lee of Allen, TX, Timothy Robert Keierleber and wife, Judith of Dallas, TX, James M. Keierleber and wife, Libby of Wills Point, TX and Nathan Edmund Keierleber and wife, Kristi of Rising Star, TX; daughter, Sarah June Vaughn of Wills Point, TX; sixteen grandchildren and many great grandchildren.